Discover tons of eyewear styles from our collection. We have over 300 different styles for everyone, ranging from aviators, wayfarers, fashion, sport, classics, polarized, high definition and other specialty lenses. We're confident that you'll find the right collection to fit your target market. If you're looking to buy wholesale designer sunglasses, then look no further than Sunrayzz Imports. We have an amazing collection of wholesale designer sunglasses from great brands like X-Loop, Giselle, CG Fashion and others. In addition to our low prices, we have high-volume discounts for big orders. 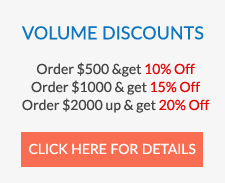 Get an instant 10% discount on orders $500 or up, 20% from orders of $2000, and even more on bigger orders! Our sunglass wholesale prices are sure to keep your profits high and your costs low. We are a direct importer and distributor of quality wholesale fashion sunglasses in Canada and the USA. We offer great domestic and international shipping rates on every purchase through our website. If you're a reseller of sunglasses and/or reading glasses, then buying wholesale sunglass in bulk is your best choice for high income sales. Place your order now and take advantage of our cheap bulk sunglasses! Simply choose your favorite brand and place them in your shopping cart, then provide us your complete shipping information and payment details during the secured checkout. You may reach us through our email at customerservice@sunrayzzimports.com or use our live chat for instant messaging. All Sunglasses There are 466 products. Gorgeous translucent patterned Polarized Cover Overs. These are for women and they love the design! They fit right over prescpription eye glasses and provide protection from the harmful UV rays while also looking stylish. Hot new women's printed cover overs with polarized lens! Order by the dozen and get up to 20% off. New Rhinestone Cover Overs! Made in Taiwan. Excellent quality. Comes in assorted colors as shown. Classy sunglasses with the square frame! Have them in your display rack and attract your customers. Order in bulk from Sunrayzz Imports. Classy and Trendy Sunglasses! Have them in your display rack and attract your customers. Order in bulk from Sunrayzz Imports. 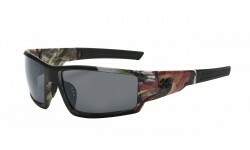 These sunglasses are specifically designed for outdoor use. It has a wrap frame feature fits on your face with the temple. Offer this style to your customers and gain profit. Athletic wear sunglasses with a unique and modern design. Get these stylish sunglasses from Sunrayzz Imports now. Selling them in Dozen! These sunglasses are specifically designed for outdoor use. It has a wrap frame feature fits on your face with the temple covered with camo paint. Offer this style to your customers and gain profit. Stylish and trendy style Giselle Sunglasses! These stylish sunglasses will surely be a treat for your eyes. Add them in your collection and attract your fashionable and fun-loving customers. Stylish and chic style Giselle Sunglasses with gradient lens can help you protect from UV rays. Be sure to add these styles in your collection and profit! Buy in bulk now. New Made in Taiwan sunglasses with strap and rubberized nose pad. Excellent for bikers. Also comes with Foam Padded layer on the brow bar to add extra protection. Perfect for the summer season. New high fashion ombre lens one piece wrap. Hybrid sport and fashion style with rubberized nose pad for maximum comfort. New awesome quality sport sunglasses! Made in Taiwan quality. Polarized Lens. Order in bulk and get up to 20% off. Order Made in Taiwan Floating Sunglasses for your summer boating enthusiasts! We carry top quality discount sunglasses in bulk. Made In Taiwan! Amazing sunglasses that float. Excellent quality and craftsmanship. Comes in assorted colors as shown. Order by the dozen and get up to 20% off.